Leo Horoscope 2016 predicts that the presence of Jupiter in this sign this year presents the Lions with excellent opportunities for growth in life, and there will be plenty of optimism. This is the ideal time to put your brilliant capabilities to use as your astrological planets will be help you use your innovative traits, and will assist you in moving forward in life. Leos, there is a need to listen to other people if you want overall development. During the period you will enhance your social circle which will be instrumental for your future success. You should try to improve your spiritual strength during this period. The Leo 2016 astrology predictions also forecast that you will have a tendency to overspend during the year. Single Lions will have many chances to have new love relationships in 2016. You can commit to serious partnerships between August and November. This is also the right time to expand your family and plan for children. On the dating scene Leo females might fall for the bad boys. But be sure not to indulge in unwanted sexual escapades. The 2016 Leo zodiac forecasts suggest that you should try to get the support of your superiors for your plans and ideas if you want to achieve your career goals. Try to be cordial with your colleagues at work, and do not hesitate to express your opinion frankly. It is time in 2016 to review your status in your business profession and to define your future goals during the first three months of the year. You should listen to your intuition while formulating your strategies for your future growth. Once you are clear about your ideas and plan of action, focus your attention on executing them. The Leo horoscope 2016 also foretells that you should devote more attention for managing your finances in 2016. Your business will be productive and you will earn more money. You should put your finances for useful purposes and try to save as much as possible. The month of September 2016 will be excellent for enhancing your monetary situation. The 2016 Leo horoscope predicts that health will be delicate during the initial months of the year, but will become wonderful by May. Make healthy changes to your diet to maintain your well-being. Listen to your body from August on wards and relax as much as possible. Your family will be supportive of your objectives and you should listen to their ideas if you want to succeed. When it comes to family, be careful to be less aggressive in your relationships. The Leo star sign people should be diplomatic for the sake of good relations in 2016. The Leo astrology forecasts for 2016 suggest that business and marital partnerships are under scrutiny this year. The months between February and June 2016 should be used to decide your requirements in these associations, and to decide what you can offer in return. While making your commitments, it will be easier if you forget past misunderstandings and start afresh. Life will be strenuous in 2016 unless you shed unnecessary baggage you are carrying. You should be ready to accept inevitable failures in life and flow with the situation if you want life to be less painful. Health can become delicate if you forget to take care of emotional health and if you concentrate only on materialistic gains in relationships. This year will shock you with sudden and unexpected changes and this will challenge your capabilities. These changes are necessary for the development of your life and you should face them by making suitable modifications in your personal outlook. Leos, your energy level should be very high to face these complications and this can be achieved by taking care of your physical and mental fitness. Traveling to spiritual places is a good option. The horoscope 2016 predicts that this year gives you a feeling that you are in a new world and this may lead to a sense of despondency. Best way to tackle the situation is to adapt yourself to the new environment and go through the journey. The Lions have to be cautious while assessing other people as there is a possibility that you may go wrong. Judgment of relationships will be easier if you are sincere in your intent. You should listen to your intuition if you want to succeed. You will have opportunities in the coming year to eliminate all undesirable Leo personal traits, partnerships and situations which are blocking your development in life. This requires a thorough study of yourself and your attitudes. The Leo 2016 horoscope predicts that there is a need to understand the real reasons for your present psychological problems before any healing can be done. At the same time any long standing physical deficiencies should be examined and cured. In general this is a period to attend to your physical and emotional problems, and at the same time to change your overall personality. The Leo 2016 zodiac forecasts suggest that you will be presented with fabulous opportunities to accomplish things. Decide on your targets in the first two months of the year and execute them with all the energy and devotion during the remaining months. January 2016 will be a social month for the Leos with love, work and health being most prominent. February 2016 asks you to take care of your health as you might get easily tired and fatigued. March 2016 will be a time to resolve all conflicts. This is a good time to go for a complete makeover. April 2016 is a month of making right decisions. Be it work or home, you need to focus on one goal and move ahead to achieve it. May 2016 will be a difficult month, predicts the 2016 horoscope for Leos. Be it love life, finance or career, be ready to overcome obstacles at each turn. June 2016 will be a month when the Leo zodiac sign will need to keep a watch and have patience. July 2016 will see many delays. But ultimately the result will be in your favor. So keep your calm and don’t make hasty decisions. August 2016 is a month of personal happiness. Expect fights with spouse over financial issues. September 2016 will see dramatic changes in your life. Marriages will have a difficult time but new affairs will be full of fun and vigor. October 2016 asks you to pay attention to your family. This is a wonderful month astrologically to get pregnant. November 2016 is a good month to go for alternative healing therapies to improve your overall health. December 2016 is a month of fun and excitement. You will make sure that everyone around you is happy and not depressed. 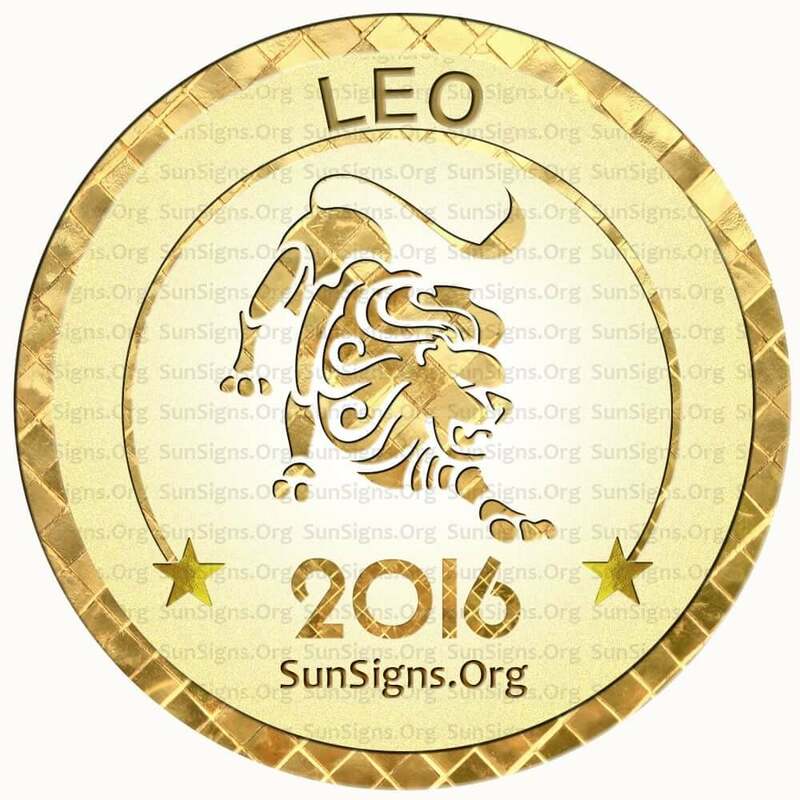 The Leo horoscope 2016 predicts that this is a year of innovation, progress, abundance and growth. But be careful not to be extravagant and indulgent.